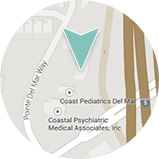 Board certified dermatologist Deborah Atkin, MD and our entire team at Dermatology & Laser of Del Mar are continually impressed with the number of non-profit endeavors created by and supported by our amazing clients. We look forward to sharing our clients’ diverse philanthropic efforts on our website. If you are involved with a philanthropic program, we would love to hear about it. 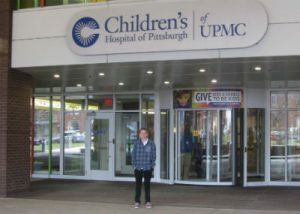 To kick off this new page on our website, we are featuring Nick’s Picks, the 501c3 charity founded Dr. Atkin’s son, Nick Wallace, the following a successful liver transplant. We are incredibly proud of Nick’s efforts over the past four years to establish and grow Nick’s Picks. Nick’s Picks was founded by Nick Wallace in 2012. 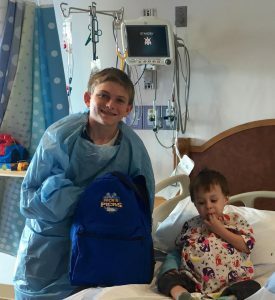 Nick’s Picks is dedicated to providing fun-filled “Nick’s Picks” backpacks to hospitalized and/or isolated children dealing with chronic illnesses. People have always said that Nick is a an expert at entertaining himself. Unfortunately, during his multiple hospitalizations he was really able to perfect the art. When Nick learned in 2012 that a friend whom had always rallied around him was diagnosed with cancer, he knew he was just the guy to help out. Nick’s Picks was born out of Nick’s naturally giving and hopeful disposition. The first “care package” was in a Von’s shopping bag and contained things that Nick had purchased with his allowance. Through partnership with generous sponsors and incredible donors (like you!) we have been able to transform these care packages into awesome backpacks stuffed with a variety of activities, toys and comfort items. Nick has hand selected and tested all the items in each backpack. Each item has a specific purpose and while Nick is always researching new “picks” the core products in the backpacks are his go-to activity arsenal. Nick has always loved these adorable, soft friends. His seal, Sealy, even went into the operating room with him for transplant. Glow in the dark basketball hoop: This is great for exercise and to improve hand eye coordination. It also helps to pass the time at night when the lights are out and it fits perfectly over the cabinet across from the bed. Lacrosse socks: These are soft, jazzy so you look cool and feel good. YoYo : A yoyo is one of the items that really helps you pass the time and perfect your skills. Simple and easy entertainment. I learned some great tricks with the yoyo. UNO cards and Rubix cube: These are great to have because you can play with friends or family when they come to visit. The Rubix Cube can go with you if you have to leave your room to go for tests or treatment. It makes the time pass faster when you are waiting. DONATE! 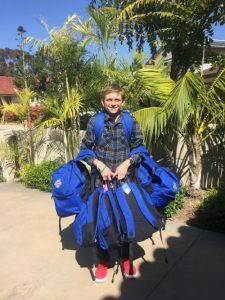 Nick’s Picks relies on donations to provide backpacks to the centers we serve. Each $50 donation will provide one backpack to a hospitalized and/or isolated youth. Your donations are tax deductible and will certainly bring a smile to the face of a kid in need.